During a keynote speech at Microsoft’s annual TechEd conference in Europe, head of Windows Web Services Antoine Leblond predicted that tablets will outsell desktop systems in 2013. This may come as a surprise to many considering Microsoft currently owns zero percent of the tablet market share but as Leblond pointed out during his speech, 60 percent of PCs sold today are laptops, a sign that people are steadily moving away from the anchored desktop platform. Of course, the Microsoft rep didn’t specifically say that their offering alone would outsell desktops, but even still, it’s a pretty bold statement. Neowin points out that Microsoft seems to believe that the introduction of Windows 8 and Windows RT for tablets will make their vision a reality, both through their own branded offerings and third party devices. 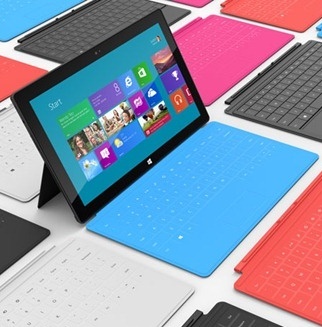 Microsoft unveiled their Surface tablets earlier this month during a media event in Los Angeles. The units were generally well-received by media but some key factors like battery life and suggested retail price still remain unknown at this time. Leblond spent some of his time elaborating more on Windows 8, pointing out that it is an old and new bet for Microsoft. He said that Windows 7 was rooted in the last generational change for Windows which occurred with Windows 95. Windows 8 is described as the next generational change, although he was quick to point out that it was still Windows. The company also used the keynote to demonstrate various apps designed for the European market, including a Vodafone Metro app.